Pool Season begins at 10:00 a.m. on Saturday, May 25, 201,9 and extends daily through Monday, September 2, 2019. The pool facility will remain open, weather permitting, during the first two weekends after Labor Day. From May 28 through Tuesday, June 11, the Lounge Pool will be used as the general use pool for all Patrons during the Westridge swim team practices, Monday – Friday, 4:00 pm – 7:00 pm. Upon completion of the evening swim practice, the Lane Pool will revert to the general use pool. The Lounge Pool and spa may close at 7:00 pm for private functions on Friday, Saturday or Sunday evenings. Specific dates will be posted on the pool bulletin board in advance and shown on the calendar below. If you have not obtained a photo ID card with a barcode, you will need to come to the clubhouse to register before using the pool. You may print a registration form by clicking HERE or you may obtain a registration form at the Clubhouse. You may also begin the registration online HERE. Each household member must come to the Clubhouse during business hours, Monday through Friday from 10 a.m. to 5 p.m., to have a photo taken and obtain a pool pass. Complete and return the registration form to the Clubhouse or complete the online registration form. ALL members of your household over 2 years of age wishing to obtain a photo ID card must come to the Clubhouse during regular business hours (Mon. through Fri., 10 a.m. to 5 p.m.) to have a photo taken and obtain an ID card. Everyone over 2 years of age must have an ID card. It is not necessary for everyone in your household to come at the same time. 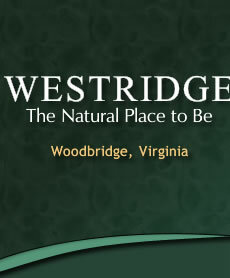 Anyone over the age of 18 must bring photo identification and proof of Westridge residency (i.e. driver’s license with Westridge address, utility bill with Westridge address, etc.). The owner’s account must be paid in full before new ID cards will be issued. Your photo ID card will be valid for as long as you are a resident homeowner or for the term of your lease if you are renting a home in Westridge, provided you (or your landlord) are a member in good standing. 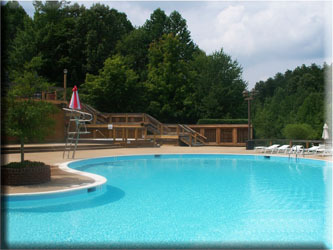 Pool guest cards are available for sale only at the clubhouse during regular business hours. Pool guest cards do not expire and unused visits may be used in subsequent years. Without a guest card, the price per day per person is $3.00. This fee must be paid upon entry to the pool. There is no billing for guest fees and exact change is required.